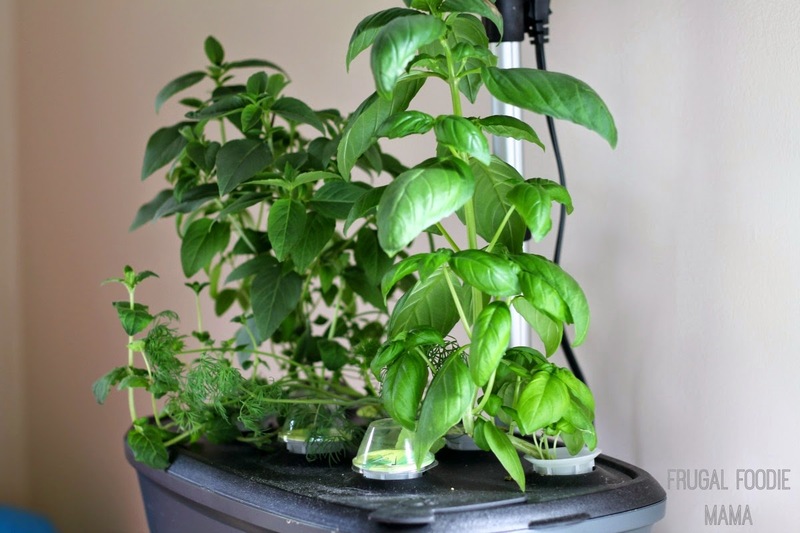 I am partnering with The Scotts Company to share with you all how year-round gardening is possible with the MiracleGro AeroGarden. All opinions expressed below are 100% my own. 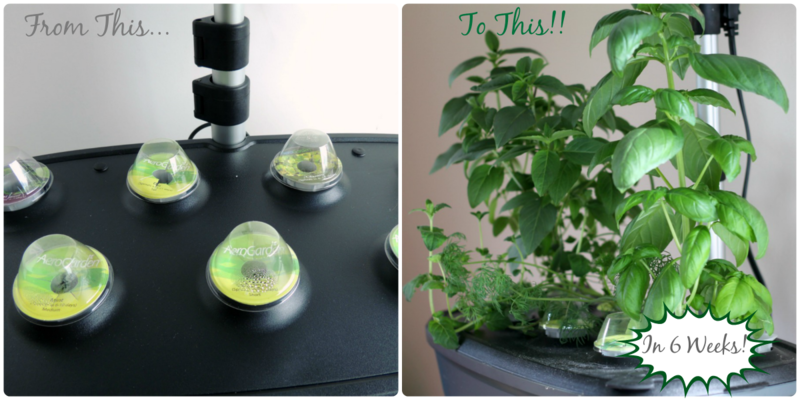 If you follow me on Instagram, you have probably seen my updates on my AeroGarden gourmet herbs' progress. Seriously, you all... I was blown away by how amazing this thing is! :) My herbs went from tiny seed pods to full grown fresh herbs in a matter of weeks. It seemed as if I was adjusting the height of the grow lamps every other day or so to accommodate my rapidly growing basil. My only tip would be to stagger starting your seed pods according to the days to germination provided on each seed pod. As you can see in the photo to the right above, I still had some seed pods that had not sprouted while my basil and mint plants were already towering. I had to raise the grow lamps to accommodate the larger herbs, and as a result the seedlings that hadn't sprouted yet were not getting the direct light that they needed. But that is the one and only thing that I would have done differently when starting my gourmet herb garden with my AeroGarden. Save 20% off your next AeroGarden purchase when you use the code Digital20 at checkout at AeroGarden.com! 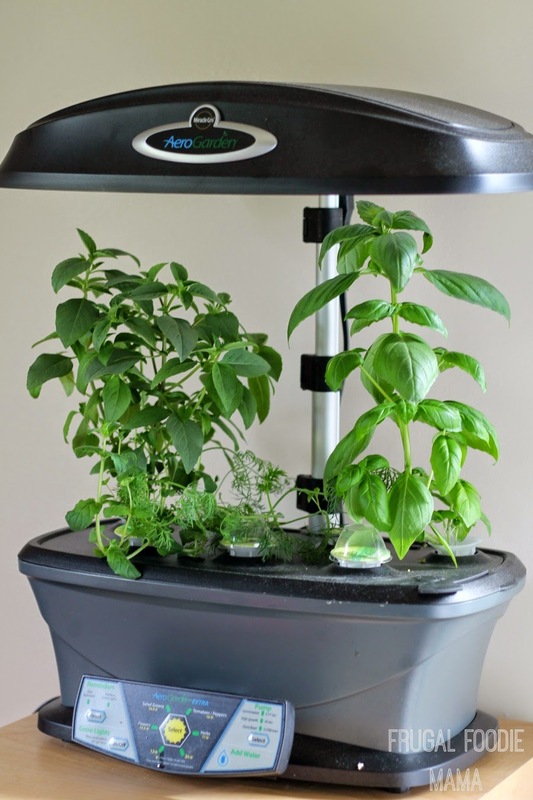 And if you are struggling for a last minute gift for a loved one, the AeroGarden just might be the perfect solution! :) Whether it is for a foodie, an avid gardener, or your green thumb challenged friend, the AeroGarden is definitely the gift that will keep giving all year round.